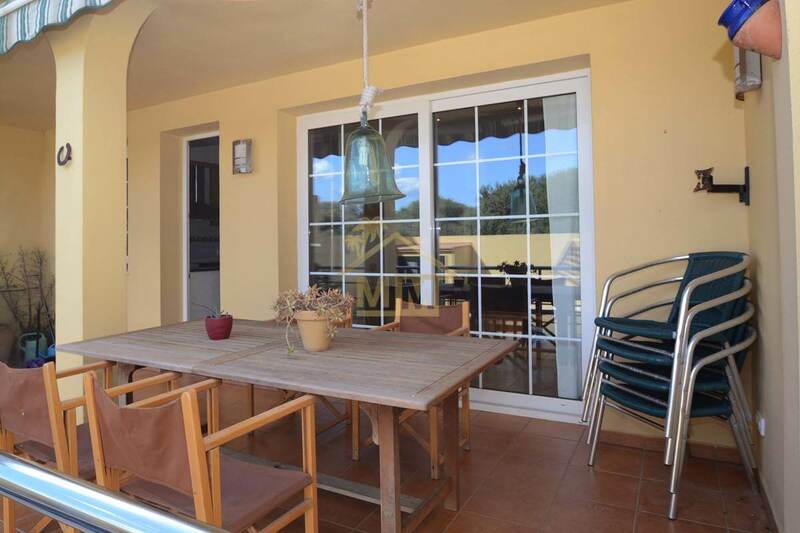 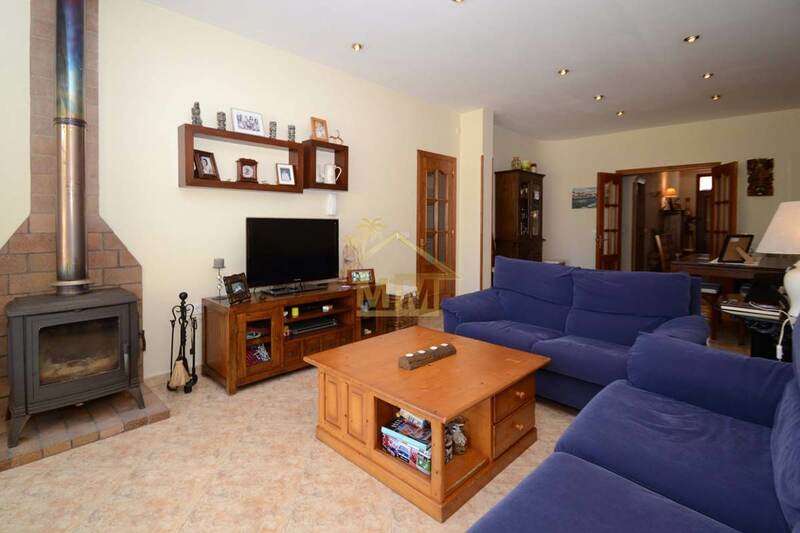 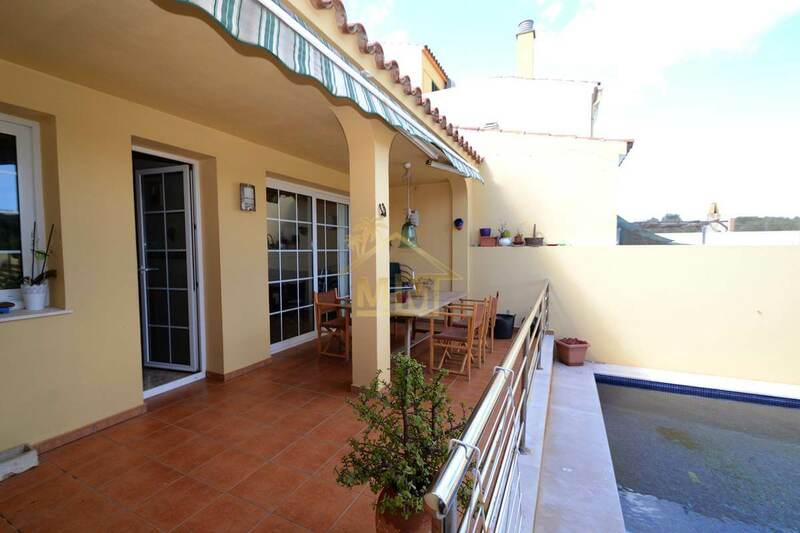 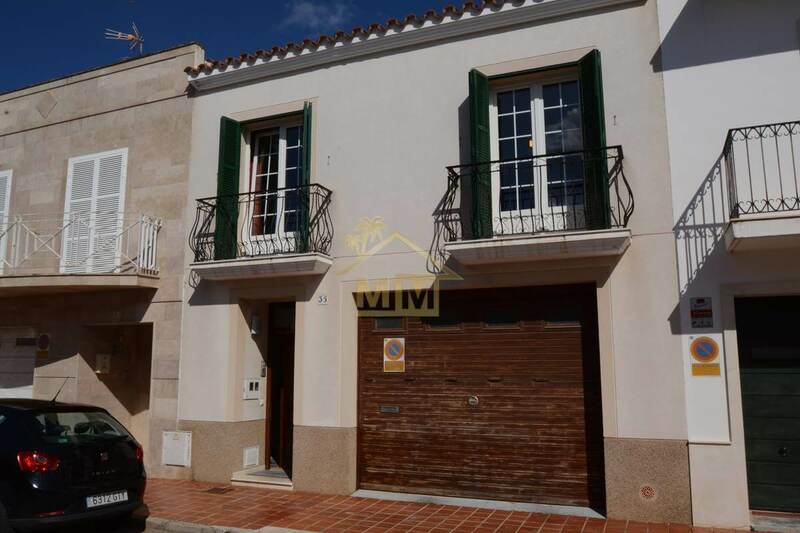 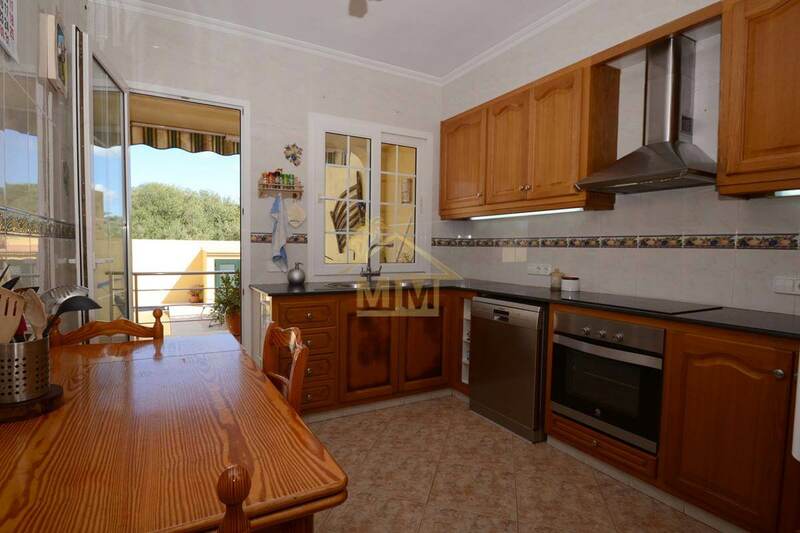 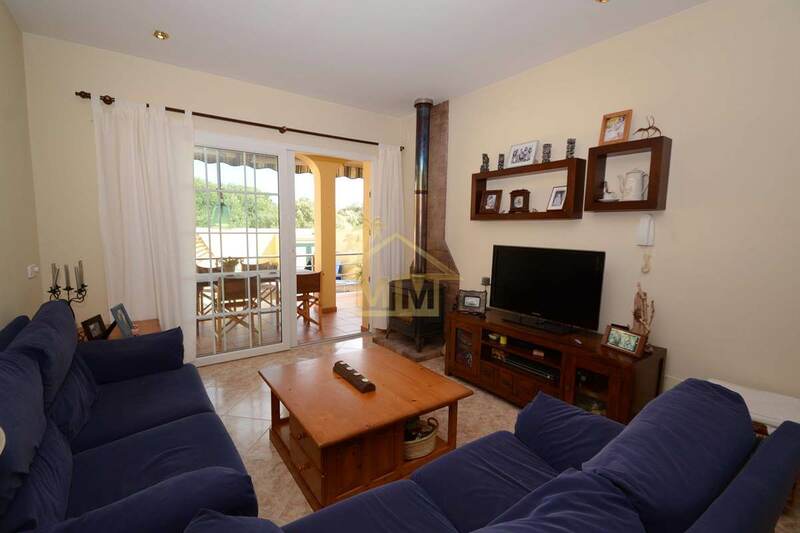 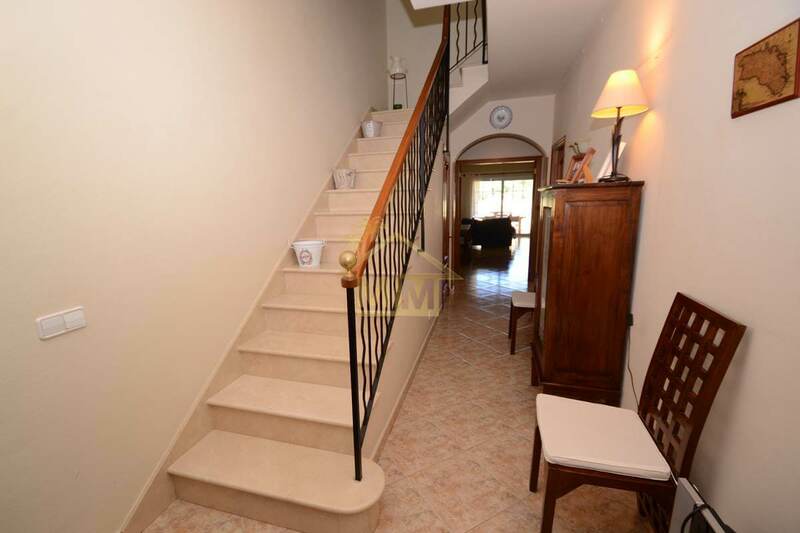 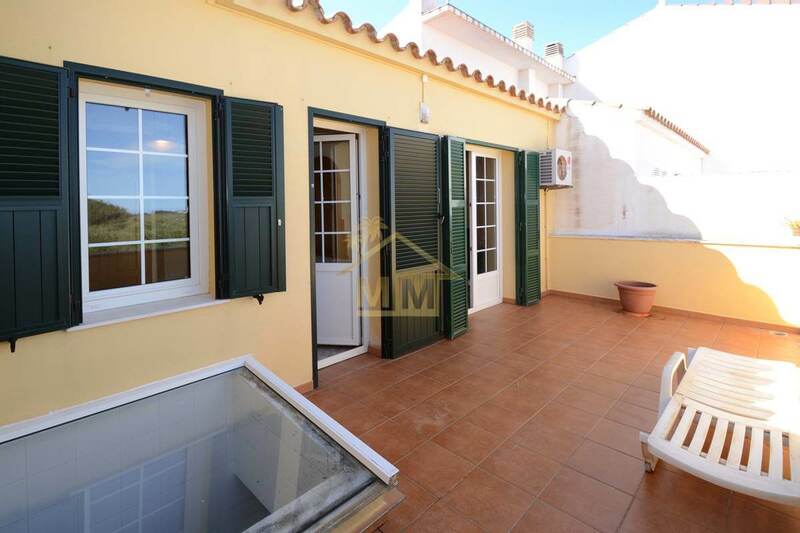 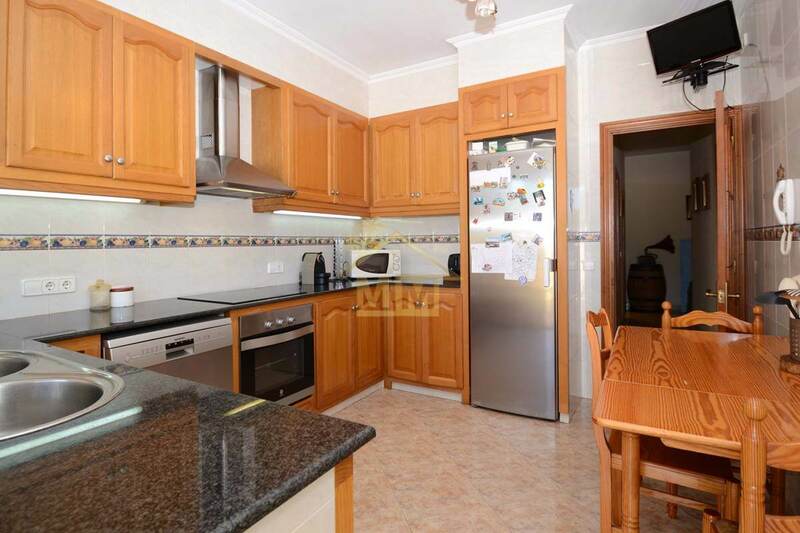 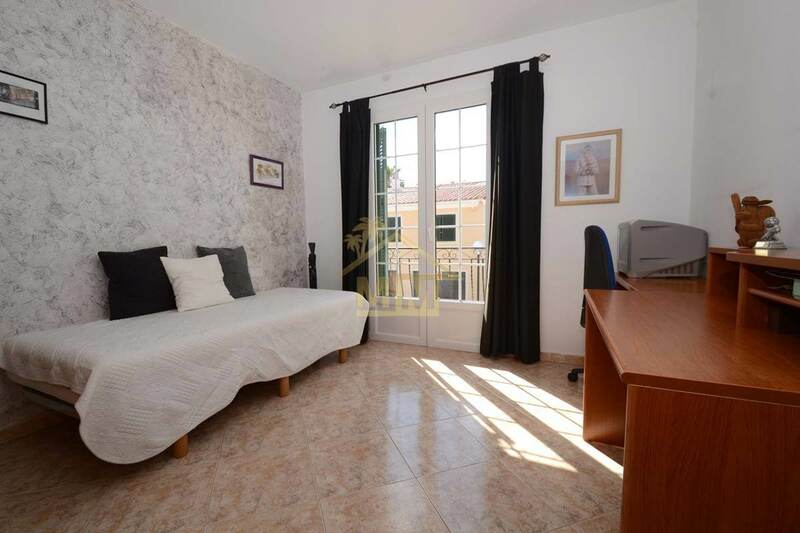 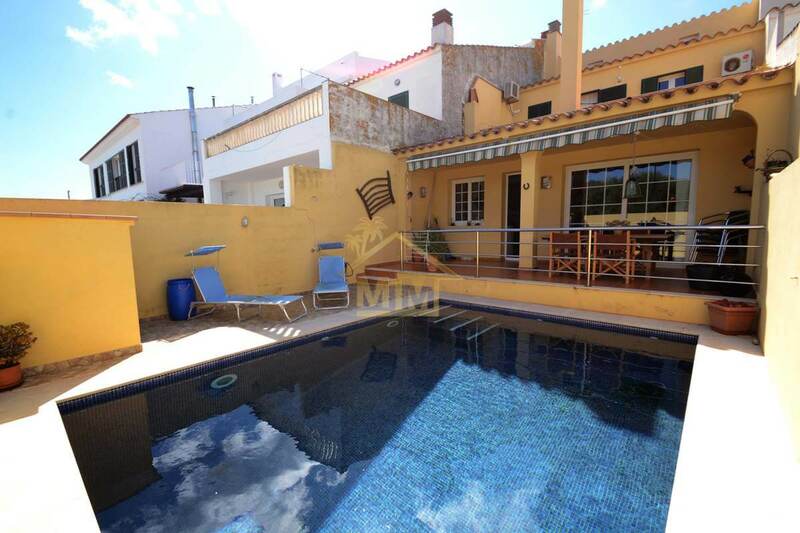 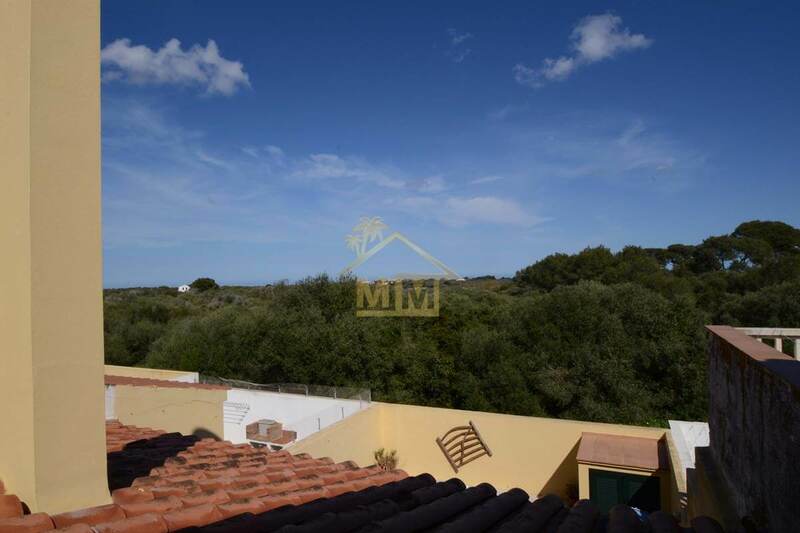 This fantastic townhouse of 190 m2 and private pool is located in a quiet street of Sant Lluis but just minutes from all services and amenities. 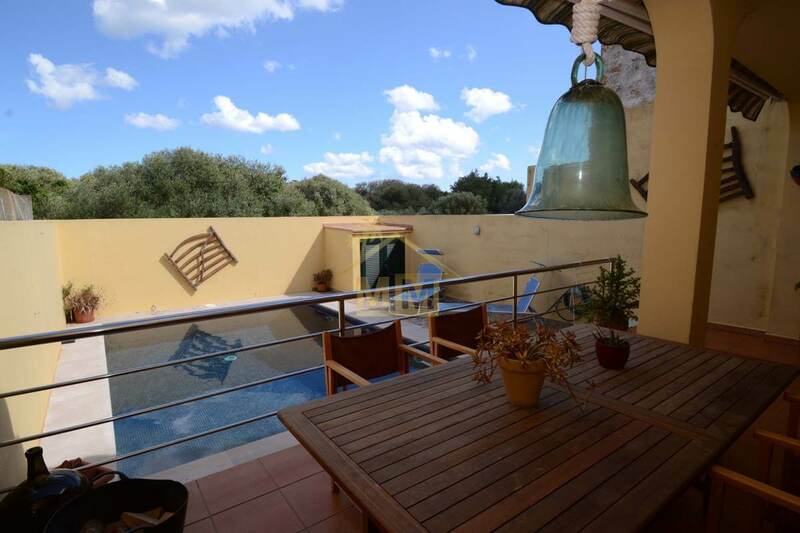 On the ground floor is the entrance hall, the living/dining room with a wood burner and the large kitchen, both with access to the covered outdoor terrace with views of the countryside and the saltwater pool. 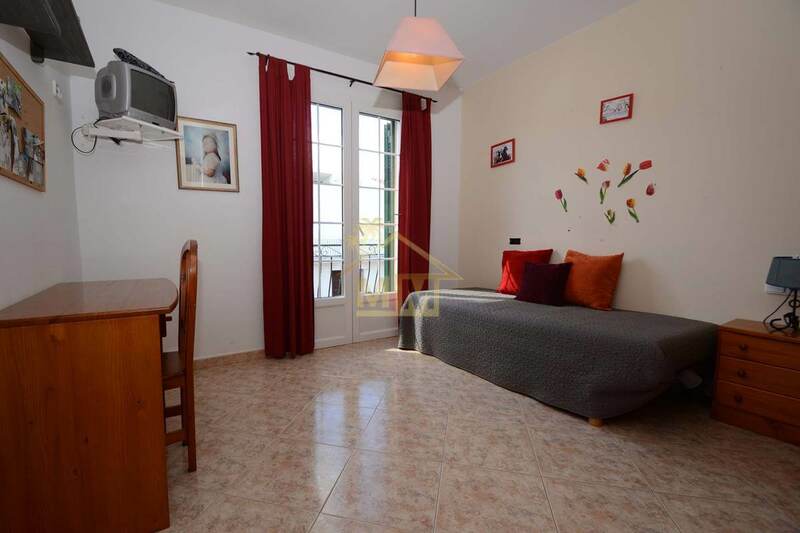 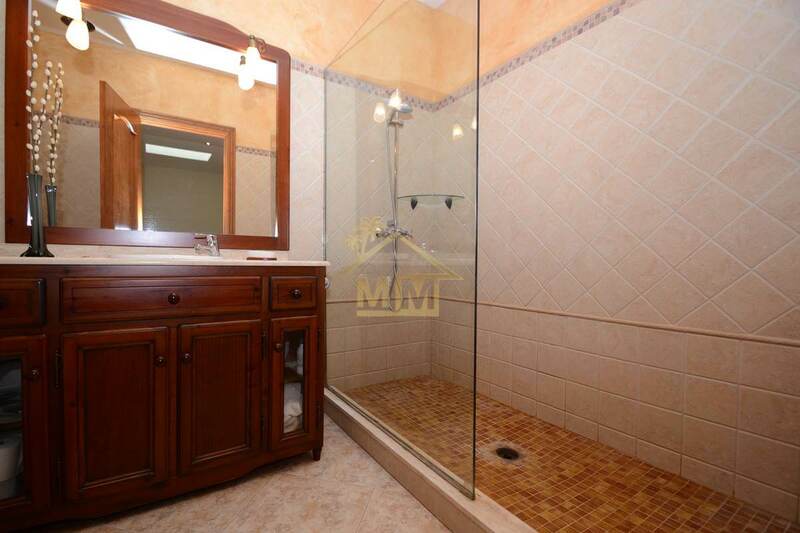 There is also a laundry room, a shower room and a single room (office). 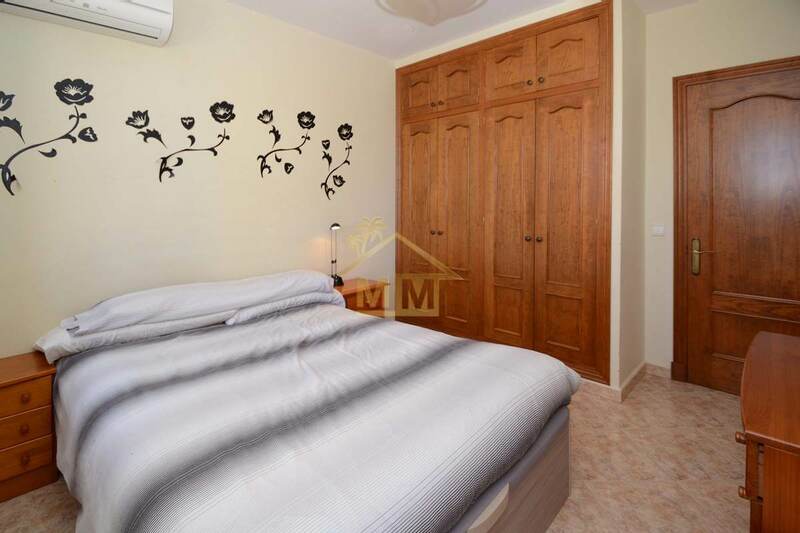 On the first floor there are 4 double bedrooms with fitted wardrobes that share a large bathroom with a spacious walk-in shower, two of the bedrooms have air conditioning and access to the upper terrace. 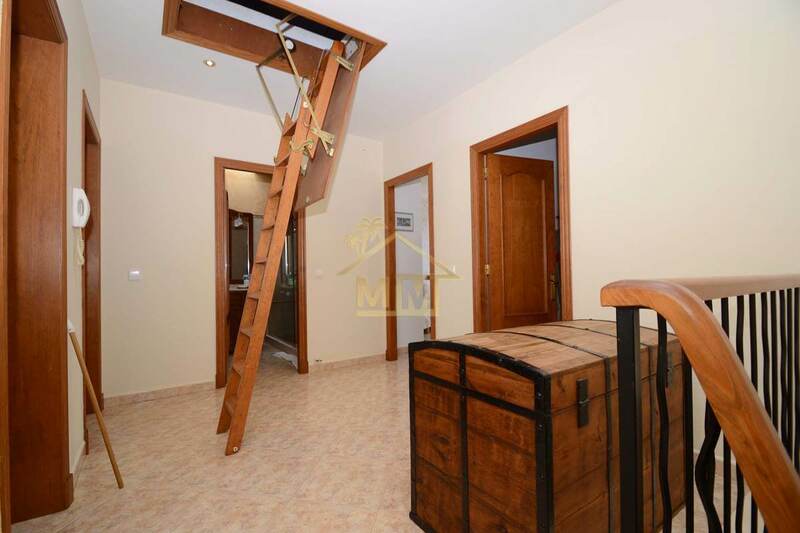 There is also a storage room in the attic. 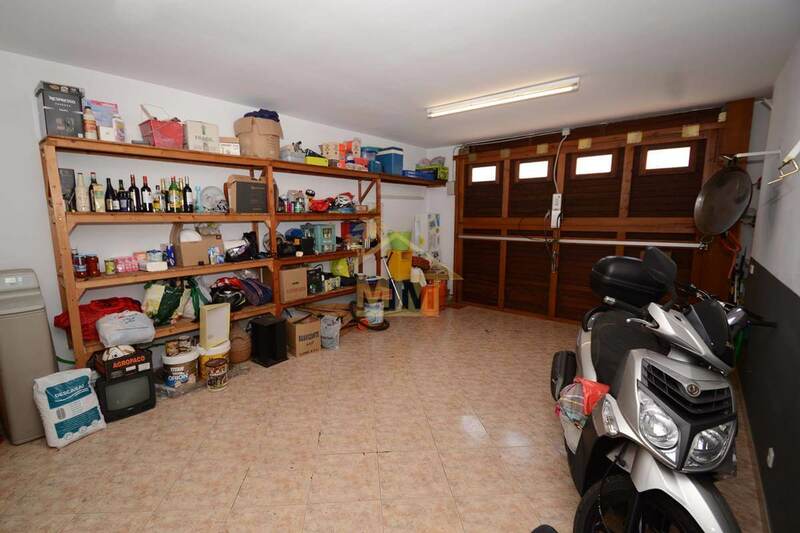 The house benefits from a garage with automatic door for one car and storage space, a decalsifier, low consumption radiators, gas boiler and pre-installation of heating and piped music.